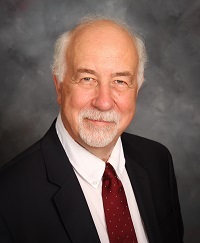 Ralph E. Johnson joined Carney Thorpe in 2015 after nearly 30 years as Staff Attorney and then as Managing Attorney with the Janesville UAW-GM Legal Services Plan. Mr. Johnson has extensive experience in handling virtually all legal matters of individuals and small businesses. He focuses his practice on litigation involving real estate, including eminent domain, debtor-creditor matters where he will be serving as a Trustee in Chapter 128 debt amortizations, and consumer rights. He is also available for elder law consultation, and to handle matters in probate court, estate planning, and family law. Mr. Johnson has successfully tried cases before judges and juries in circuit courts throughout Wisconsin, as well as federal court, including bankruptcy court. He has also appeared before the Wisconsin Supreme Court and Court of Appeals in the reported cases of O'Neill v. Reemer 259 Wis.2d 544, 2003 WI 13, and Vohs v. Donovan, 2009 WI App 181. Prior to his career as an attorney, Mr. Johnson enjoyed a successful career as programmer and Program Director for National Public Radio affiliated West Virginia Public Radio and WVTF in Roanoke, Virginia. Mr. Johnson received a Bachelor of Arts degree in Communication Arts (Radio-TV-Film) from the University of Wisconsin in Madison in 1976 and a law degree from Capital University Law School in Columbus, Ohio in 1986. While in Law School, he served as a legal intern in the school's Legal Clinic Program, as captain of the Jessup International Law Moot Court Team, and as a mediator in the Columbus Night Prosecutor's Program.